Love winter? Yeah, so do we. Quite frankly though I love it the most through the window, while I’m sitting next to a chimney, well-tucked with a warm blanket, steamy hot chocolate in my hand, and a book I can’t put aside. Dreamy, right? Well, unfortunately, we don’t have a chimney and we actually use the winter to catch up on the work we didn’t manage to complete during the summer. with a 9,90 lev monthly subscription for 1 cup of gourmet coffee every day! A brand new app on the Bulgarian market gives an incredible opportunity: one month of every day coffee for just 9.90 lev (5 EUR). No kidding – and you can even have one coffee for free to test how it works. * You can’t use the app for take-away coffee – it’s only to be used when you plan on spending a while in the coffee shop. If you don’t know it yet – the night life in Sofia is absolutely crazy. There’s a little something for everyone’s taste. Rock it bar and Rock’nRolla for people who enjoy rock, SugarClub for those into hip-hop and commercial music, piano bars like Sinatra and Camino, and many (seriously MANY) more options. Not to mention all the places with the typical local chalga, which some foreigners seem to enjoy a lot (we, Bulgarians, usually either hate it or love it with a passion). If you’re looking for a club, check out this Google map and don’t forget to ask your Bulgarian friends for opinion. Given you’re still reading, I assume you’re in Bulgaria. Well, then, you must know that there are some absolutely incredible red wines around and they are just perfect for the cold winter days. The funniest thing – some of them cost as much as a cup of coffee at Starbucks. A variety of cheeses (soft, smelly, mature) are available at any store nearby. So what are you waiting for – make the most of your evenings indulging in the company of a bottle. Our favorite is Terroir wine from the Starosel winery, which happens to be available at most Avanti stores. Last year Ellie and I overdosed on escape rooms and we’re taking it very slowly now, but if you’re up for a challenge and don’t feel like staying home bored, then head off to one. Just check on TripAdvisor, there’s plenty you can choose from.. Although we’re fans of billiards we’d rarely play during summer – there’s so much to be explored while everything is green. During the winter, however, it’s one of our favorite things to do. Our place of choice is Stix – a club in the underground right in front of NDK (The National Palace of Culture). I’ve always been amazed by the number of events happening in Sofia any time of the year. If you’re a fan of the classical arts (opera, philharmonics) this is your time to enjoy the most of it. Incredible concerts are available nearly every day and I assure you – they’ll enrich your life much more than many other things can do. Check this website for more info about pretty much every event in Sofia. A good movie, a comfy seat, and popcorn – a winter fairy tale. And why not – most movie tickets in Sofia are available for just 12lv (6 EUR). Here’s a map of all the cinemas in Sofia. If you're looking for a fun activity to do with your friends, bowling can be a great idea. Besides, you don't even have to be good at it - just bring your good mood and you'll do just fine! Here's a map with the bowling centers in Sofia. If you're looking for a quick adrenaline, you can always jump to Ring Mall and drive some karts. I won't say it's very affordable, but let's be fair - karting never really was. 5 minutes will cost you a minimum of 12lv per person (6 EUR). Here's a link to the website which is unfortuantely only partially translated. Right next to the Pancharevo lake, the complex Korali operates all year around. So, if you feel like swimming in a mineral water swimming pool during the winter, we say: go for it! The entrance fee is 12 lev during the weekend and 10 lev during the week, and the water temperature is about 29 degrees Celsius! Did you know that Sofia is one of the few capitals where just about anyone can go to a shooting range and it's not even expensive. At most shooting ranges in Sofia renting a gun costs between 5 and 10 lev (2,5 to 5 EUR) and bullets vary between 0,20 lev and 1 lev a piece (0,10 and 0,50 cents). We all know Italians are true masters when it comes to food. But could they have also figured out a way to heal the body, strenghten the muscles, improve posture, and lose weight without workout? We say yes. This was the first time we heard about Keope GPR. Reading through the information on the original website (http://www.keopeworld.com/en/keope-gpr/) we were impressed. But when we tried it: we were WOW-ed! It felt like a combination of a sports massage, intense cardio workout, meditation and the feeling you're floating through soft clouds while the stars are twinkling around you. The German Christmas market is located right next to the Bulgarian National Bank (Google Maps Link) and is open every day from 11:00 till 22:00. It offers a bunch of hand-crafted goodies, present ideas, mulled wine, and plenty of food (sausages, jacket potatoes, creme puffs, and more). Naturally, be prepared that everything is slightly overpriced, but I am sure this comes at no surprise 🙂 After all, Christmas is the time to open both hearts and wallets. Although the fluffy snow is gorgeous and lifts the mood a little bit, it's not enough to compensate for the long dark evenings and the lack of sunlight. This is why we suggest you use the winter and learn to dance. If you're an expat in Bulgaria we promise you a lot of fun if you decide to join a group for traditional folklore dancing. And if you're not up for it - you can always opt for some Latin or ballroom dancing. It will keep you in shape, help you socialize easier, and surely make you smile a lot. 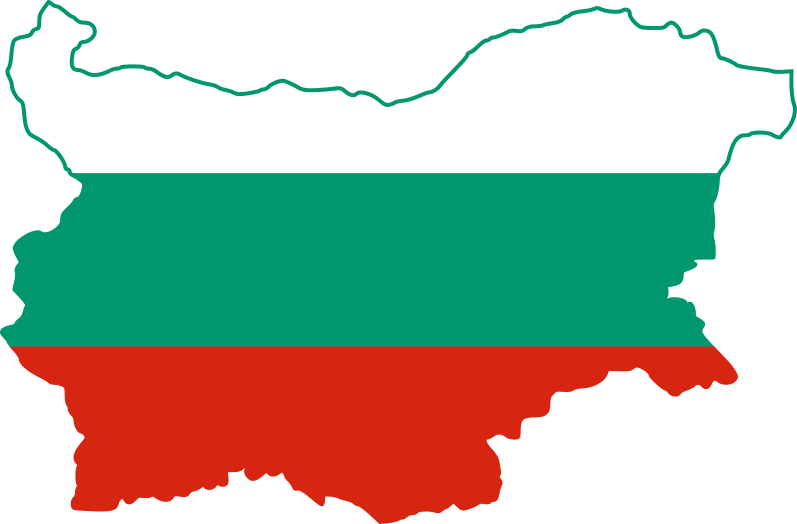 We can't recommend a particular dance school, but why don't you join the "Bulgarian & Expat Friends Sofia" Facebook group and ask for a recommendation. It's the season of giving. That time of the year to reflect on the last 12 months, count our blessings, and give a little something to those less fortunate. Our cause of choice is the Animal Rescue Sofia. You don't need to do something massive - donate a bag of food, send an SMS containing "DMS DOG" to number 17 777 (donating 1 lev), buy their gorgeous calendar, or visit them and take a loving soul for a walk: any help will be appreciated not just by the tireless people behind it, but by the innocent souls suffering there. Thank you so much! I’ll be visiting Sofia next month (February 2017), so this list is really helpful. Thank you for the comment, Jason 🙂 Actually, we do notice the casinos. I am personally a huge fan of Black Jack and that’s one of my prefered methods to relax. The reason we’re not mentioning it on the website is because the law (internationally) is quite strict when it comes to advertising gambling and we don’t want to get in trouble 🙂 As for the skiing – we personally don’t ski. Nonetheless, I will include the info I can dig out on skiing for the fans of that sport. …very informative, girls, love it, keep up the good work ! Thank you, Glyn!!! So glad we can give good ideas. Actually, we’re about to go try the mineral water swimming pool – as soon as it snows again!